What is Asbestos & How to Remove Asbestos? 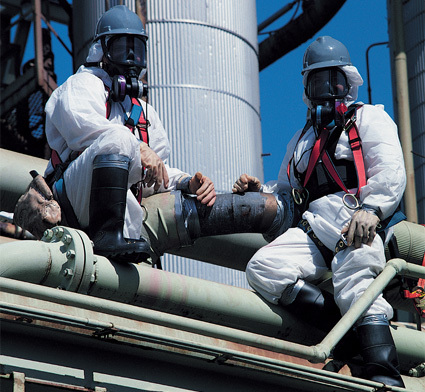 WWM is recognized as an industry leader, performing abatement, remediation and encapsulation of asbestos in industrial and commercial facilities. Offering well-being and peace of mind to businesses, hospitals, schools, power plants, mines and industrial spaces throughout Manitoba, Saskatchewan and northwestern Ontario. We climb and crawl our way through pipe and duct work, boilers, walls, decks, structural assemblies, ceiling and flooring. Our professionals have the experience, equipment and knowledge to do the abatement jobs other companies can’t handle. We are fully trained, outfitted and certified for all three classifications of abatement work, from low, to intermediate, to maximum precautions. Common Type One projects deal with non-friable asbestos, such as floor tiles and paneling. Type Two projects can involve the removal of ceiling tiles, vinyl sheet flooring and minor amounts of insulation. Type Three projects deal with friable asbestos such as mechanical insulation, fireproofing, and plaster walls and ceilings. We provide containment and decontamination facilities, as your project requires. Mould growth in an indoor environment is a common occurrence and requires immediate attention to avoid the potential health effects of exposure. Assessment, abatement, and remediation of mould in buildings is handled by WWM with strict guidelines and procedures. Even after all recovery efforts are performed, additional testing and surface sampling is required to ensure safety of the affected area. We are experts in mould abatement with an extensive list of successful removal efforts creating healthy and safe environments. Whether you require a low or high-risk removal, through every phase from removal and encapsulation, to cleanup and disposal, Western Waste Management complies with industry guidelines and government regulations. Our meticulous work helps you move on with a healthy space and a clear conscience. Ask us about our contractual work including industrial and guano cleaning. If another company has said it’s not the job for them, it’s probably the job for us.